It's gonna be impossible getting a table at Li Bai Sheraton Towers Singapore for Chinese New Year. 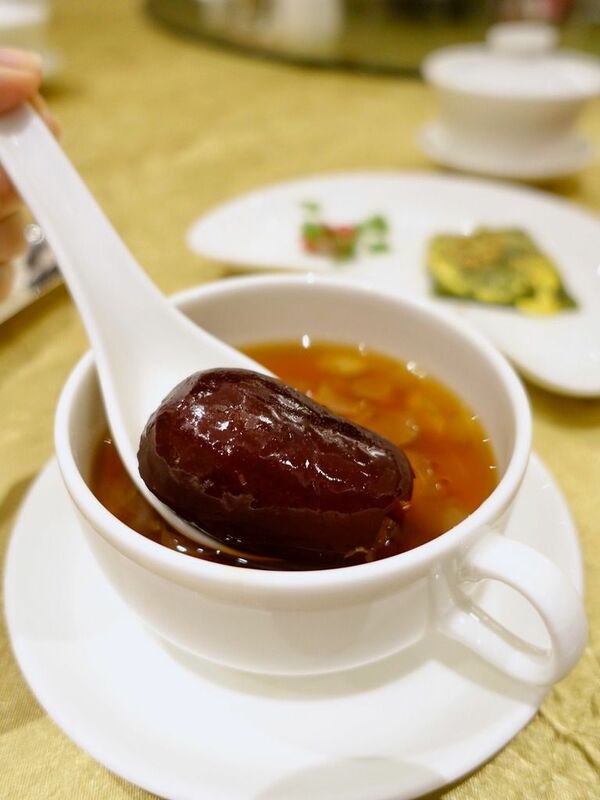 The stellar Cantonese restaurant is so popular, they are usually booked out for eve and 初一the year before. 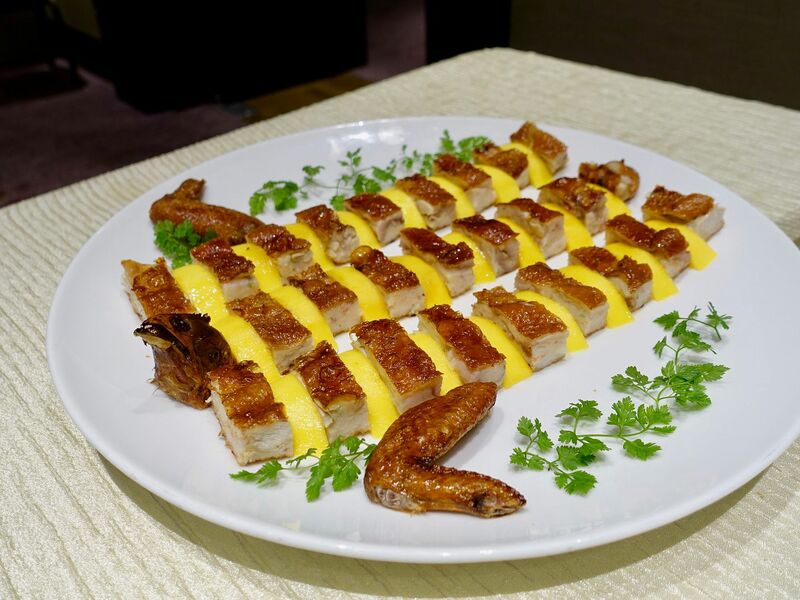 Well thankfully there are 15 (or 30 if you'd rather) days of CNY feasting, so you'd likely be able to get your hands on Executive Chef Chung Yiu Ming carefully curated reunion set menus that cater to group sizes from two persons to a party of ten. Here are some highlights from Li Bai's reunion feasts. 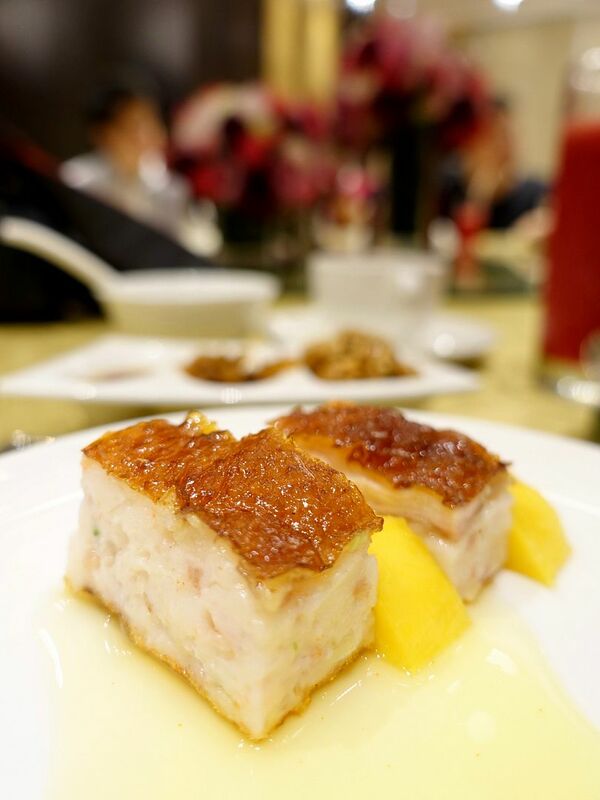 Yu Sheng is a must and there are various options of the toppings ranging from the typical salmon, ikan parang, to the luxurious abalone, lobster, or king crab. All these come with a melange of ingredients like pomelo, yam, sweet potato, white radish, carrot and pickled ginger. Prices start at $62 for the small yusheng, and $108 for the large ones. 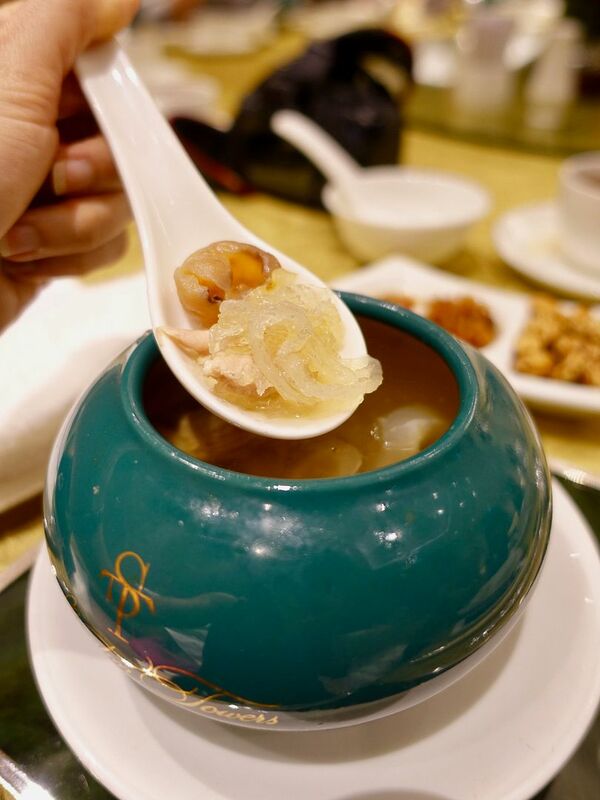 Our dinner started with bowl of Double Boiled Bird's Nest Soup with Fish Maw, Chicken and American Ginseng. This is what chicken essence should taste like, with a light touch of ginseng. Love the slivers of birds' nest in this one. 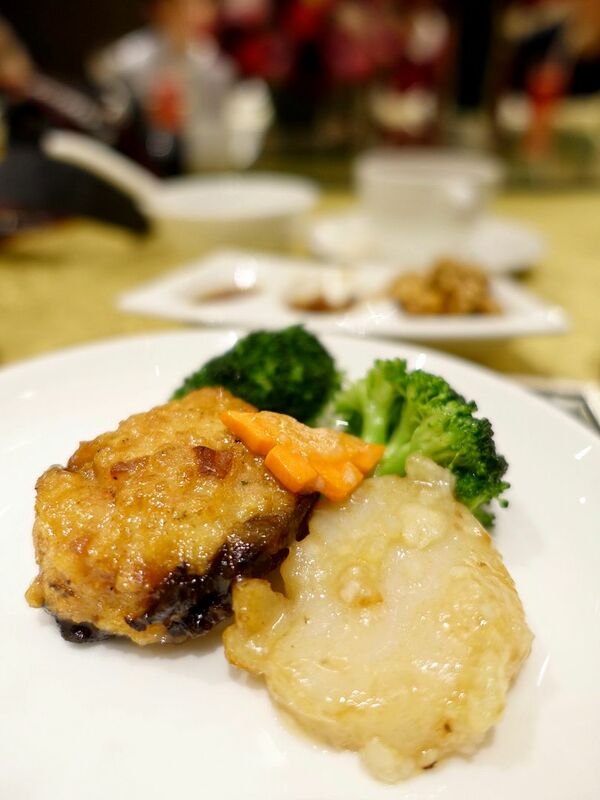 The Sauteed Scallop stuffed with Prawn Paste and served with Dried Oyster and Broccoli was flavorful. The pieces of seafood were lightly powdered with flour before being stir-fried, and thus there's a thin mocha texture with some crisp on the patties, which was quite enjoyable. I've been told that the Deep Fried Stuffed Chicken with Prawn Paste is laborious dish to make. How else can you get that layer of juicy patty under thin crispy skin? The touch of mango gave the dish a refreshing sweetness (thank god it's none of that artificial yellow goo). 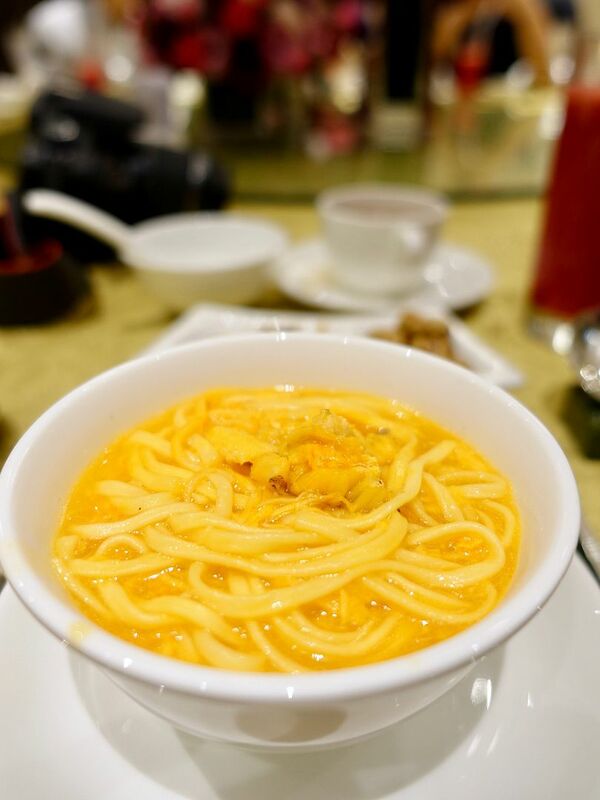 Carbs are a must to end the meal but we were disappointed by the bland Ee Fu Noodles with Crabmeat and Crab Roe Soup. Sadly the orange broth tasted nothing as rich as how it looked. Oh well thankfully I'm not a carb person so no loss to me. 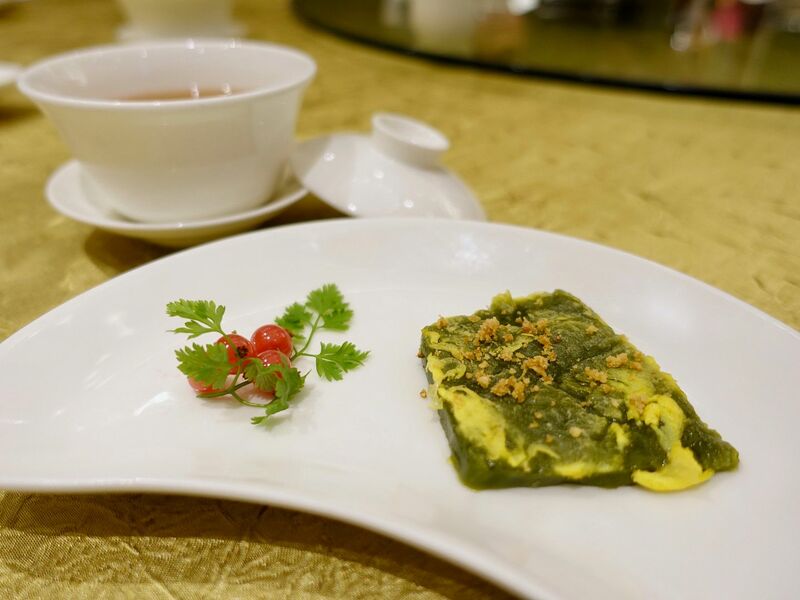 Dinner ended on a sweet note with the Double Boiled Snow Lotus Seed with Red Date and Green Tea Nian Gao. The double boiled dessert was faultless (as expected) and the Green Tea Nian Gao ($50 for 1 kg) was a surprise for us. Loved the intense green tea flavor in this one and how the dessert wasn't too sweet. Have it pan-fried with egg or steamed for a softer warabi mochi texture (it goes perfectly with kinako and some brown sugar syrup)! If you are gonna miss the dine-in offers at Li Bai, you can still place an order for their takeaways, such as the Lobster and Abalone Fortune Pot |龙虾球鲍鱼盆菜 ($398) which is laden with a medley of premium treasures that symbolises wealth and abundance (comes with a claypot). Or for something different, have the Stewed "Eight Treasures" Duck with 6-Head Abalone ($398). I would also highly recommend their Radish Cake with Conpoy and Preserved Meat ($50/1kg) as a perfect lunch supplement.